The lastest summer drop from SUPER sunglasses is now in stock. Along with a much needed replenishment of staple pieces such as the Black Flat Tops, there are some great new additions to the line. 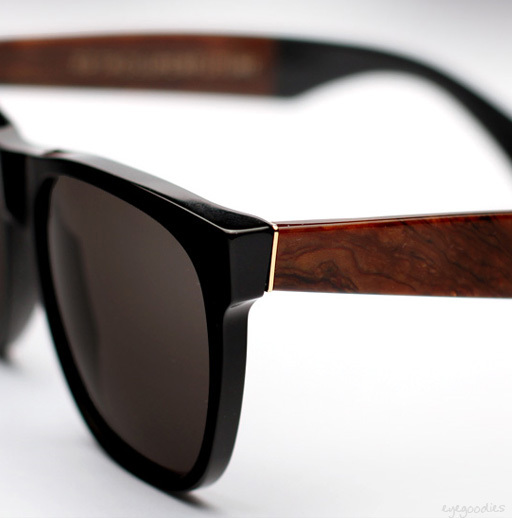 Here we highlight one of our favorites, the “Black Briar” series. The Black Briar is an ode to the classic luxury styling of the 1970’s. The front of the sunglasses have shiny black acetate while each of the temples feature panel in “Briar”. The Briar effect is created using a rich acetate, giving the same smooth, glossy appearance of radica as was used in luxury cars. While the Black Briar series may heavily invoke the 70’s, they transcend era’s, making them a timeless classic in SUPER history. The Black Briar is available several of Super’s signature models: Flat Top, Basic Shape, People, Andrea, and W; Shown Below. Mosley Tribes sunglasses Summer 2011 collection now available. 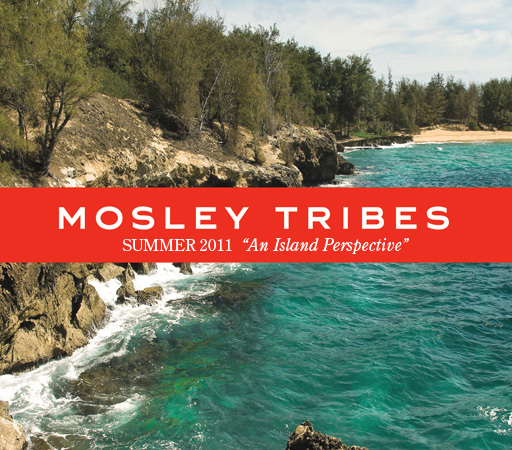 Mosley Tribes travels to the remote and stunning Hawaiian island of Kauai to draw inspiration for their latest summer ‘11 collection and campaign. This slice of tropical paradise, known for its rich and varied landscapes, offers the perfect back drop for the plethora of textures and colors offered this season: from classic black to “Matte Kalahari Tortoise” to a fresh Matte White with blue accents. Among our favorite new pieces would have to be the Merchant and Crane. Both frames feature a unique and very cool sweat-bar, giving them a rugged feel. The Merchant is a distinct slightly oversized plastic frame with a classic key hole bridge and is offered in great color combos. While the Crane aviator offers an exceptionally nice fit for medium to smaller faces, as well as women.